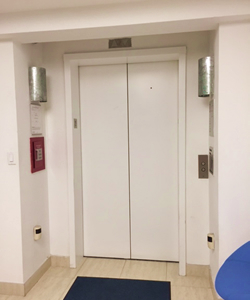 Direct Elevator Access, also known as keyed elevator, is just that a direct entrance to the space from the elevator without a common hallway area. Access is provided by a key or key fob from the elevator. Some direct elevator opens directly into the space while others open up to a sliding metal door with key access. Direct elevator presence really sets the tone for a stunning office. Directly off the elevator, a reception area or an open bullpen is there to greet clients and guests. Many buildings, including loft spaces in SoHo, have direct elevator access. While some people may be partial to this, others may be concerned about security. Security is a concern for some people with direct elevator access and giving everyone access to your space. The systems put in place to fortify the security with a key, card or fob entry. The access to the floor can be controlled by the tenant to designate when the space is accessible. The elevator security access allows the tenant to control visitors and hours. Direct elevator access brings a chic presence to the space. The elevator opening up into an open space especially a loft ceiling is a stunning feature. This feature also eliminates unwanted interactions with neighbors and guests. The elevator security system, even with all the benefits, is not perfect. The keyless entry (fobs or cards) can be impaired if too many card are given out. If someone loses a fob then it must be deactivated before giving out a new one. Some management firms charge a fee for a lost card. The elevator access system typically has a card reader with the fob or key needed to operate the elevator. Without the proper card, the elevator will not go to the unauthorized floors. The system is designed to secure the space and give the tenants control of the access. The key fob/card is activated to work only on the designated floors. Tenants will have access to common areas and their private floor. Another great feature of the elevator security system is the control over what times and days to access this feature. The security feature may be disabled to allow guest easier access, and enabled during off-hours. The systems secure your business and offer peace of mind. 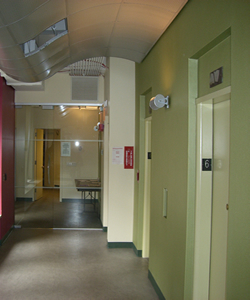 Direct elevator access is a great feature available in many buildings throughout New York City. The entrance through the elevator can really set the tone for your space and impress guests. While security is a concern, elevator access systems are in place to offset those concerns. A keyless entry albeit more expensive is a secure and simple feature. How many people have access to your space is the tenant’s decision. If you have any further questions or concerns about direct elevator access, or searching for a space with a direct elevator access – give us a call. With our 20 years of experience, we will find the perfect space for you.